In states where it is legal, dispensaries are the go-to location for marijuana products. But now, more customers are using a marijuana home delivery service. Marijuana delivery is a growing business in California, with a company called Eaze dominating the marketplace. Its web page connects customers to dispensaries. Customers can choose from a variety of products, including flower, vape pens, body creams and more. Then, it gets delivered straight to the customer’s door. "A lot of times it gets there faster than a pizza," says Sheena Shiravis, Eaze’s director of consumer communications. Eaze's website looks like a typical online store. "You add things to your cart just like you would on Amazon,” Shiravi explains. “Anything like that. You check out, and then you get an ETA with when your driver is going to arrive." Eaze's software uses an algorithm to help dispensaries and drivers anticipate what customers will buy throughout a day. The product and drivers are tracked by GPS for security and safety. "There's little things like alerts that the driver has been sitting still or idle for 15 minutes, the dispatcher can instruct the retailer and will get an alert so they can call the driver,” Shiravi says. Delivery drivers must have clean driving records. They also have a host of safety procedures to follow. "The cars are not branded. The drivers don't wear cannabis clothing,” says Elissa Hambrecht, CEO of Fume, a dispensary. “There's nothing that says Eaze.com on it. It's literally a soccer mom car." There is some controversy in California and other states that are considering marijuana delivery. Some worry this will make increase crime. "We've seen shootings; we've seen homicides,” says Sgt. Scott Pendleton with the Colorado Police Department in Aurora. “A great deal of violent crime that surrounds marijuana." Sgt. Pendleton, who is a narcotics officer, worries about customers and drivers being sitting ducks for robbers. States that have a marijuana home delivery service include California, New York, Florida, Maine and Oregon. Other states are considering allowing the service, including Colorado and Washington. "You don't know what's going to take place, where there is going to be a rip off that's set up,” Sg. Pendleton says. 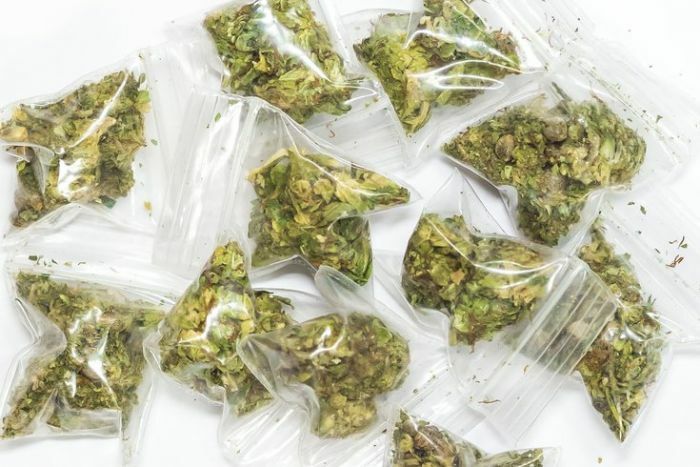 It's hard to measure whether marijuana delivery has impacted crime where delivery is legal. However, Shiravi believes it’s helped cut down on black market sales. "Delivery helps eliminate the black market, because you are providing a legal channel for access," Shiravi says. She says drivers almost never have a problem with crime. "Less than one .001 percent in over the 3 million deliveries that we've made," she says.